The Lowy Institute’s Sam Roggeveen contends that Australian academics would benefit from blogging their research (in response to The Australian‘s Stephen Matchett on public policy academics). I see this debate from several perspectives. In a former life I edited the US-based alternative news site Disinformation (see the 1998-2002 archives). I also work at Victoria University as a research administrator. I’ve blogged in various forums since 2003 (such as an old LiveJournal blog). In contrast, my PhD committee in Monash’s School of Political and Social Inquiry are more likely to talk about book projects, journal articles, and media interviews. As Roggeveen notes, a major uptake barrier is the structure of institutional research incentives. The Australian Research Council’s Excellence for Research in Australia (ERA) initiative emphasises blind peer reviewed journal articles over other forms. Online blogging is not included as an assessable category of research outputs although it might fit under ‘original creative works’. 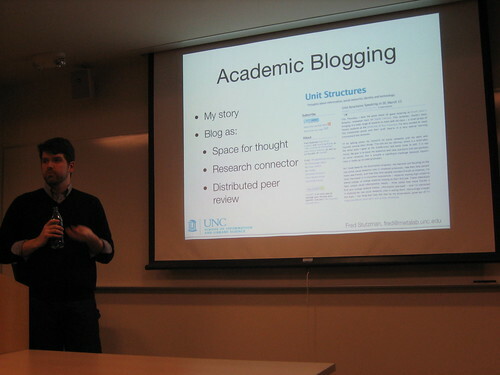 Nor is blogging included in a university’s annual Higher Education Research Data Collection (HERDC) outputs. University incentives for research closely follow ERA and HERDC guidelines. The ARC’s approach is conservative (in my view) and focuses on bibliometrics. I know very few academics who blog. Many academics are not ‘intrinsic’ writers and are unused to dealing with developmental editors and journals. University websites often do not have blog publishing systems and I’ve seen several failed attempts to do so. Younger academics who might blog or who do use social media are often on casual or short-term contracts. The ones who do blog like Ben Eltham have a journalism background, are policy-focused, and are self-branded academic entrepreneurs. Roggeveen is correct that blogging can potentially benefit academics — if approached in a mindful way. 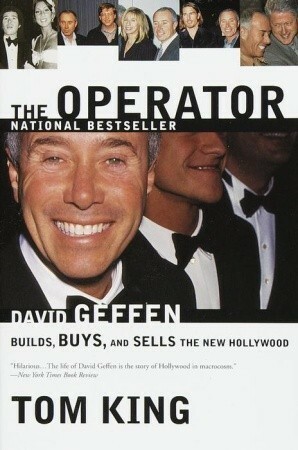 I met people like Richard Metzger and Howard Bloom during my publishing stint. I am regularly confused with QUT social media maven Axel Bruns — and we can now easily clarify potential queries. Blogging has helped me to keep abreast of sub-field developments; to build networks; to draft ideas for potential journal articles and my PhD on strategic culture; and has influenced the academic citations of my work and downloads from institutional repositories. Problem is, HERDC or ERA have no scope for soft measures or ‘tacit’ knowledge creation — so blogging won’t count to many universities. That Roggeveen needs to make this point at all highlights how much the internet has shifted from its original purpose to become an online marketing environment. Tim Berners-Lee’s proposal HyperText and CERN (1989) envisioned the nascent internet as a space for collaborative academic research. The internet I first encountered in 1993-94 had Gopher and .alt newsgroups, and later, web-pages by individual academics. Regularly visited example for PhD research: University of Notre Dame’s political scientist Michael C. Desch and his collection of easily accessible publications. It’s a long way from that free environment to today’s “unlocking academic expertise” with The Conversation.